Note that "tourist travel" is still prohibited. Arrangements can be made through any service provider complying with the U.S. Treasury's Office of Foreign Assets Control regulations regarding Cuban travel. Try calling Cuba Travel Services, with offices in Miami, Los Angeles and Puerto Rico, for additional information. They operate direct flights between the United States and Cuba and can assist licensed travellers with all their travel accommodations. +1 800 963 2822. All US citizens are obliged by the US to have a license even if they go through a third country. Licenses allowing persons from the US to spend money in Cuba are granted to certain classes of people for particular purposes. You or your tour provider must maintain records for five years proving that you led a full schedule of activities as defined by your "general license." You can travel to Cuba for purposes of tourism. However, even US citizens whose primary interest is tourism can get authorization to travel under the auspices of a program whose activities are sufficiently religious, educational, cultural, or otherwise exempt to qualify for a license. It is even possible for an individual with a credible background in, say, freelance journalism or academics, to craft a "mission" for their visit which successfully gets them a permit. Further details and forms are available from the US State Department. 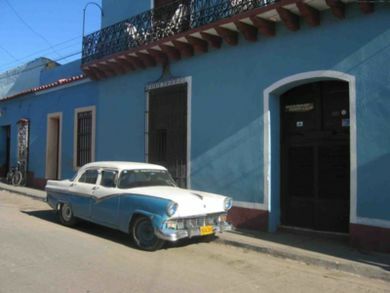 There are a handful of organizations offering tours to Cuba under the People to People program, licensed by the Office of Foreign Assets Control (OFAC), US Department of the Treasury. If you don't fall into one of the categories described above, you might want to search for these tour organizers. Be sure to inquire as to typical group size. Larger tour companies may allow groups of up to 20-25 people, which may be detrimental to genuine cultural experience. A tour group size of 4 - 8 people will ensure that you actually get to know the culture. The best advertized tour company in this field is InsightCuba. The most famous is National Geographic Expeditions because of the writers and photographers travelling with them. They bring large groups. Offering a balance between quality, economy and in-depth cultural experience is Soltura Cuba Travel. They are well-known for small group size and for supporting local community projects. Accolades Tours is developing a people-to-people performing group itinerary for orchestras, bands, and choirs where groups would experience local music as well as perform for Cuban audiences. Prices for People-to-People tours to Cuba may vary from $1790 USD (Soltura Cuba Travel) to $5900 USD (National Geographic). Some companies include airfare, while others simply provide assistance in booking airfare. There are only two Cuban Companies authorized by the Cuban government to work with Americans for People-to-People programs. Those companies are Havanatur and San Cristobal. They are run by the Cuban military. US-based tour companies that bring large groups usually contract out with them. On the large tour groups, you will be lodging at the same hotels, guided by the same guides, moved on the same buses and visiting the same spots. If you want to visit Cuba, the only thing you need to do is to sign up for any scheduled trip from one of these companies and also be willing to comply with the full itinerary. They should keep records of your trip for at least 5 years, but best to keep a copy of the itinerary for your records to be safe. You will be travelling under their "umbrella" license. The process for registration in this kind of tours is very easy. You only need to provide your personal information and travel preferences. Pay the booking fee. Then they confirm your flight with the airline departing from a city in the US, Mexico, or Canada to Havana. Then you pay the full balance for your package and receive the letter of authorization, a copy of the license, your visa and your flight ticket. Note: While in the past Cuba did not stamp US passports, allowing US travelers to visit Cuba without detection from their government, Cuba recently started stamping US passports as a matter of policy. If you use Global Entry your stamps will not be scrutinized on re-entry to the US. Note, however, that if you perjure yourself by neglecting to mention that you were in Cuba, the fine is quite steep. Be forewarned that, while rare, you may face steep fines upon re-entering the US if you are caught. In the past, many US citizens traveled without a license, doing so by way of other countries (many of which have routine flights to and from Cuba) to escape detection. Such countries include the Bahamas, Canada and Mexico. The Bahamas, Costa Rica, Panama, and Jamaica, now have US Customs Pre-Clearance facilities at many of their airports, however that is if you are flying back into the United States. I flew from London Heathrow to Nassau in 2008 and my passport was stamped leaving the U.K. as well as upon entry into the Bahamas. However, much to my surprise, leaving Nassau from the International terminal, there is no Bahamian immigration. Again this was in November of 2008. It's worth looking into, to see if they have now added Bahamian immigration upon exit. From Nassau, Cubana offers flights to Havana daily, except on Saturdays. Bahamasair offers flights on Wednesday and Saturday. This is the cheapest and quickest route flying direct to Havana, especially for those living in the South Florida area. A common practice for US citizens travelling to Cuba via Canada is a two-leg flight: a flight booking for a flight to (and from) Canada and then a separate booking for the flight to (and from) Cuba. The two legs must be booked separately, as airlines such as Air Canada prohibit the booking of U.S. origin passengers to Cuba. Alternately, one could drive or be driven across the border and dropped off in a Canadian city, and proceed to depart from there. This is more easily done for people near Detroit, Buffalo, or Seattle as non-stop flights to Cuba depart from either Montreal, Toronto, Windsor or (seasonally) Vancouver. Mexico is considered safer and is probably the most popular. However, it still carries some risk: If one travels from Mexico, to Cuba, and then back to Mexico, he will have two Mexican entry stamps; having two consecutive Mexican entry stamps could raise suspicions if your passport is checked carefully. If you decide to re-enter Mexico from Cuba, you may be able to convince the Mexican immigration officer not to stamp your passport. It used to be that you could try to use a birth certificate + US ID to enter Mexico the second time so you will only have one stamp on your passport. This was allowed under Mexican law for US citizens, but since 1 March 2010, all US citizens – including children – have been required to present a valid passport or passport card for travel beyond the “border zone” into the interior of Mexico. Another possibility is to leave Mexico over land using a passport card; there are no stamps to examine. Another safe bet would be to purchase an open-jaw ticket (Cancun-Havana and then Havana-Guatemala city, for example). Mexico does not stamp passports on exit; It would appear on your passport that you flew from Cancun to Guatemala City (or whatever city is your final destination out of Havana). Cancun is one of the easier gateways with several different airlines offering daily flights to Havana. Although possibly worrisome to show up not knowing what to expect, if you arrive earlier in the day it is usually possible to walk up to one of the airline counters and buy an onward ticket for same day travel as flights on this route are rarely full. Try Cubana or Aeromexico (2 times a week). U.S. citizens also travel via countries without U.S. customs stations (Guatemala, Venezuela, Panama, Cayman Islands, Dominican Republic, Costa Rica, Haiti, etc.) to reduce the likelihood of being caught. A substantial number simply take their chances, hoping they will not be questioned. 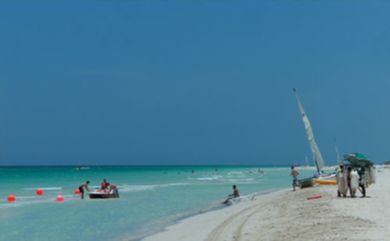 U.S. citizens are advised by Cuban travel agents not to bring back anything identifiably Cuban (including tickets and receipts) before re-entering the country. 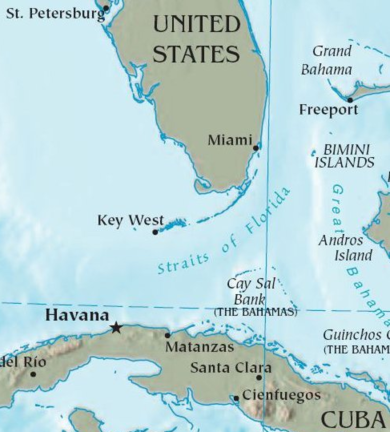 There are no regular ferries or boats to Cuba from foreign ports, although some cruise liners do visit. Yachters are expected to anchor at the public marinas. Also, most ports are closed and tourists are not permitted to walk around them. 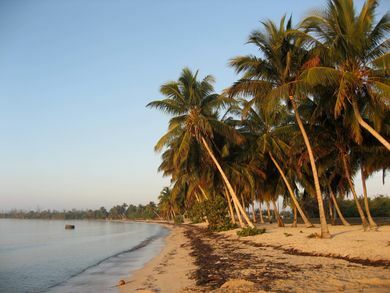 Private vessels may enter at Marina Hemingway in Havana or Marina Acua in Varadero. Entry requires a passport and visa. Comparison between fake and real Cuban cigars. Following the renewed diplomatic relations between the US and Cuba, Americans can now import $400 worth of goods from Cuba. Of that $400, a maximum of $100 can consist of tobacco products and alcohol combined. In addition, the ban on US credit and debit cards has been lifted. Tourists normally carry enough cash for a short Cuba trip. Most bring their own currency; confirm that yours is accepted and calculate the most recent exchange rates at the Banco Metropolitano . Because Cuba imposes a 10% penalty on the exchange of USD, it is not recommended to take larger sums of US dollars to Cuba. Travellers converting over USD1,000 generally choose euros or Canadian dollars. For the better rates it is best to organize in advance. Finding the best exchange should never be left until the last minute; US airport and retail forex kiosks offer some of the worst exchange rates. With two conversion (for example, USD>CAD>CUC$), costs can range anywhere between 8-20% depending on the amount and exchange rate at two banks; the relative savings (or loss) can be significant for the budget traveller. For longer trips, exchange what you need in stages. It is a waste to reconvert a lump sum of unused CUCs at departure, perhaps losing on yet another transaction. For shorter trips, be practical: how many visits to an ATM or bank would be necessary on a 7-day vacation? The foreign exchange booths (CADECAs) in Cuban airports offer extremely fair rates. However, always be mindful of the calculations and never change for CUC$ on the street. Note that only a few currencies can be exchanged in Cuba: US dollars, euros, pounds sterling, Mexican pesos, and a few others. This is important to remember if you are spending a long time in another country in the region (e.g. Dominican Republic) and are used to using that country's currency. You will be unable to exchange these currencies anywhere in Cuba. The average tourist will rarely use CUP$ (moneda nacional), but a few pesos can be useful in local places. All the normal precautions apply for travelling with a large amount of cash: some travellers use money belts and/or travel security devices; others rent a hotel safe (it is not necessary to be a guest to do so). Most just carefully hide valuables amongst their belongings, carrying a small amount of daily cash. Tourist theft in licensed casas is very rare; a licensed owner has every incentive to protect you so respect their rules & security. Staying in unlicensed casas (houses) is riskier for theft, as is being drunk, bringing in shady locals, etc. Sensible travellers will generally avoid any electronic- or paper-trail evidence of unlicensed expenses that may be an issue upon return. As an alternative to carrying only cash (and contrary to popular belief), US travellers cheques are accepted and economical. However, unlike many destinations, travellers cheques are less convenient and cannot be replaced on island if lost/stolen. Also, proof is required for cashing; remember to bring your receipts with you to the Cuban bank! Another option used primarily for family remittance, several debit & rechargeable payment cards might make sense for long-term or repeat travellers, especially as "back-up" or emergency funds: students abroad, take note! Investigate the different fees & terms, and allow three- to four weeks for the debit card pick-up on island. As of January 2008, the favored debit cards used by Canadians, Europeans and others include Duales , CaribbeanTransfers, and Telecash-AIS . Also, repeat visitors may wish to consider opening a bank account in Cuba. From a Canadian bank, the wire cost is not excessive for larger transfers such as a semester's expenses. Unlike many Canadian and European banks, very few US institutions are authorized to make licensed transfers (via bank wires) to correspondent banks in Cuba. To facilitate & speed this extraordinary type of transaction (IF possible), get the correspondent banks' SWIFT & IBAN codes in advance. Keeping money in a local Cuban bank may be the safest option for a regular and repeat Cuba traveller. Lastly, anyone suffering catastrophic loss would probably have to visit their Consulate or Embassy. Emergency funds can be arranged this way, but the process will be time-consuming and the fees will be extraordinarily expensive. Regardless of nationality, it is extremely unwise to carry on your person/baggage any evidence of possible embargo violations, or to discuss any travel expenses with a US government official. A vigilant, prudent traveller knows s/he is under no obligation to do so, regardless of what some border guard threatens. The above constitutes neither a recommendation nor legal advice; it is provided only as informational reference and the common-sense of many previous Cuba travellers. As of July 2015, the U.S. finally has an embassy in Havana again, located at what was formerly the United States Interests Section in the Vedado district, along the Malecon. They can assist you with replacing lost/stolen passports or getting emergency funds. It is advisable to carry a photocopy of your passport on the street (rather than your original) to lessen the risk of losing it. Hotels rent security boxes (even to non-guests) for 2 CUC per day to store your passport and other valuables. Remember, you will need your passport whenever staying at a hotel or casa particular; bring it with you when you leave Havana (or elsewhere) for the rest of the country. You are allowed to bring informational materials (books, CDs, records, etc.) and certain types of artwork into the US. Importing other types of Cuban goods is not allowed. Having any article, receipt, coins, etc that display "hecho en Cuba" opens the door to further inquiries about having a travel license. It is best to do a pre-departure cleanup of all baggage. Whether or not a traveller has a license to visit, it is illegal to bring into the U.S. any Cuban cigars or spirits; cigars without labels may be presumed to be Cuban and possibly confiscated. Violating this law is likely to compound unlicensed travellers' woes, making them easier targets for prosecution. Also, if unlicensed, bringing back anything that can be identified as Cuban would cause problems, especially if US authorities decide to search your luggage. U.S. citizens caught travelling to Cuba without a license will not be denied re-entry, but may be subject to civil penalties of several thousand dollars and/or criminal prosecution. Making false statements to USCIS agents can be added to the charges if you falsely report your travels (e.g. omitting Cuba) at the POE (port of entry). This problem leads some travellers to give an honest declaration along with an attempt to justify their visit under the general license if they come under scrutiny. Others simply omit Cuba and take their chances. Invoking your Fifth-Amendment right to remain silent may also come in handy when filling out forms or answering more questions whose answers might incriminate you. Simple advice is to smile, then decline to chat because all this travelling has made you tired. Giving conflicting stories at this point could be construed as making false statements (18USC 1001). Many violators successfully avoid fines by contesting the notices, with the government backing down rather than putting the effort into prosecution and testing their restrictions in court (the constitutionality of OFAC's "presumption of guilt" regarding spending money in Cuba has not been tested in the courts thus far). Currently, the National Lawyers Guild  and the Center for Constitutional Rights  provide legal representation for US citizens accused of violating these restrictions. This page was last edited on 8 November 2017, at 20:02.